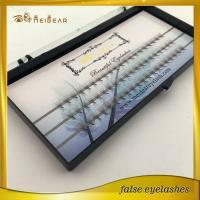 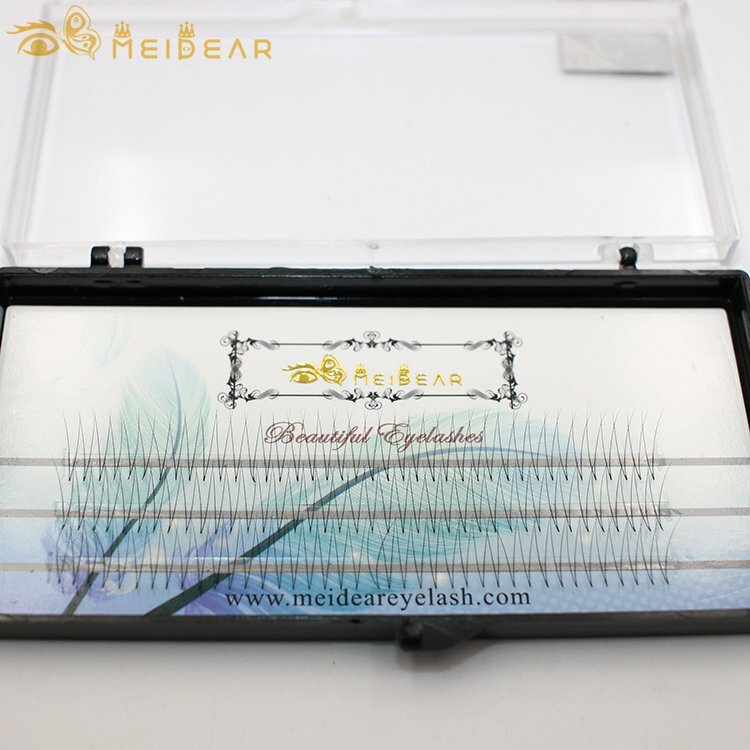 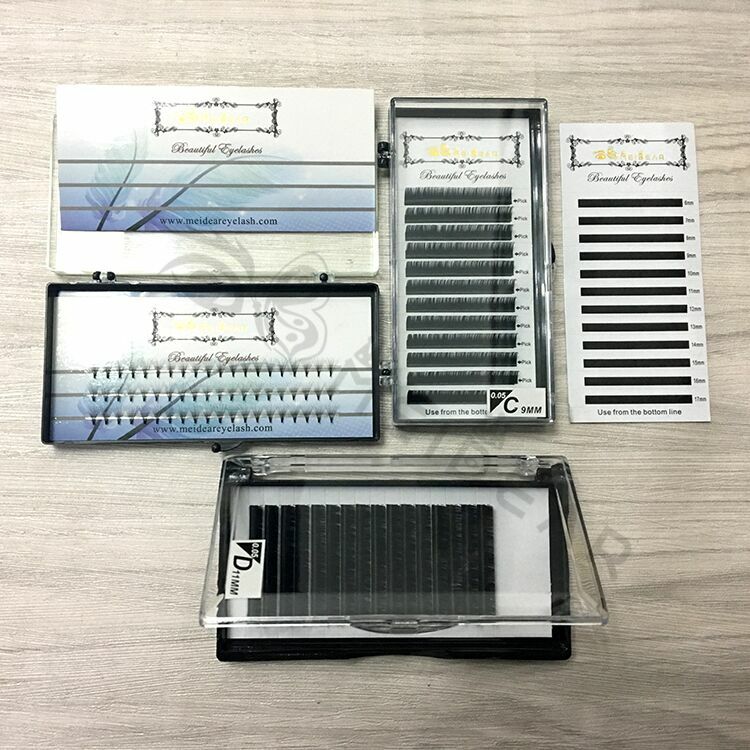 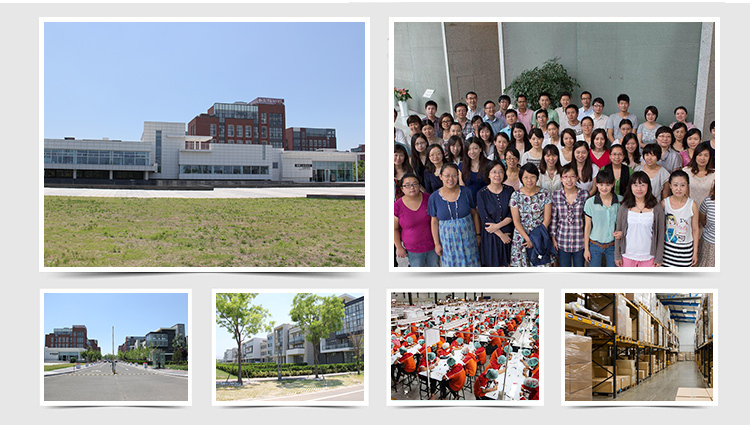 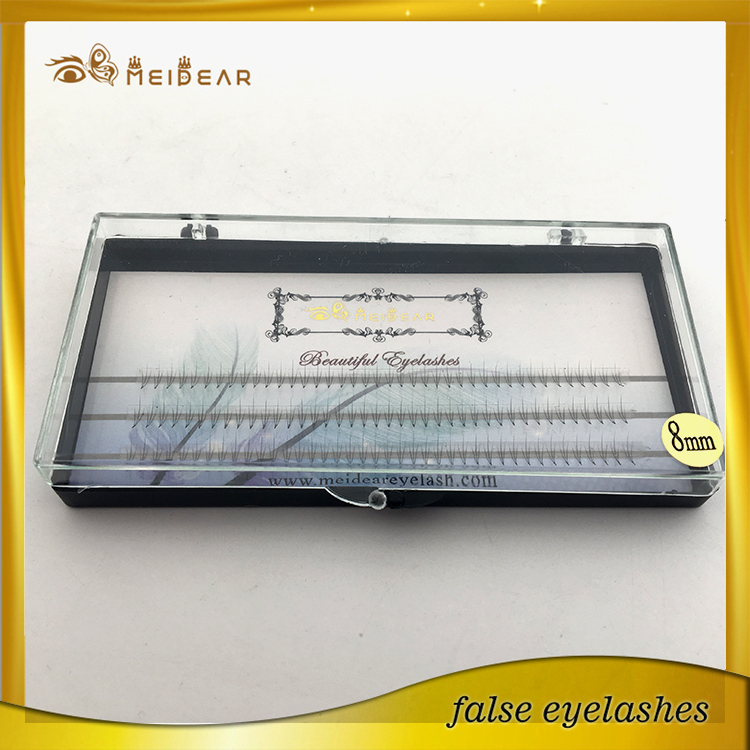 Manufacturer supply pre-fanned volume individual lash extension with private label.Meidear Pre-Fanned 3D Volume Lashes consists of 3D ultra-thin and extremely lightweight pre-fanned lashes carefully arranged on the sticker strip. Our lashes volume eyelashes are KNOT-FREE. 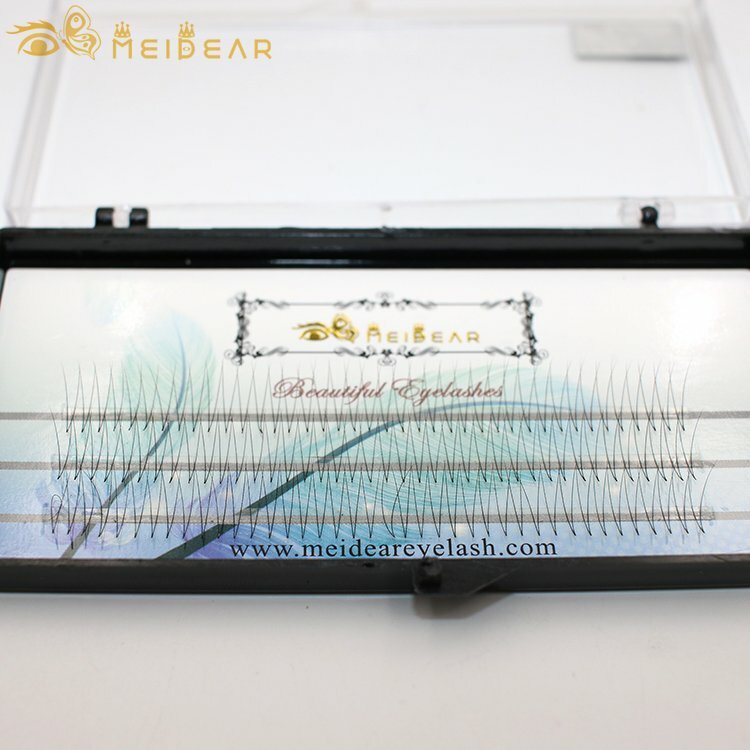 These Lashes are designed for quality, simplicity, volume and speed. 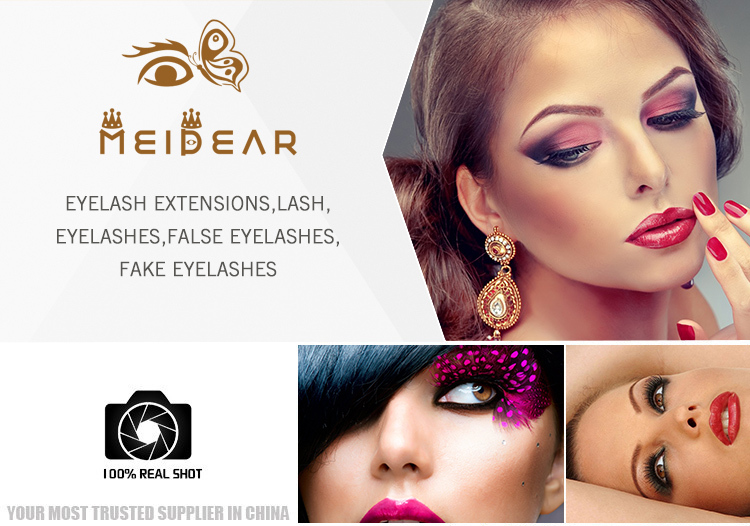 Meidear offers these knot free fans made from soft and elastic lashes, ultra-light and thin, formed without the glue remains, which create very natural look. 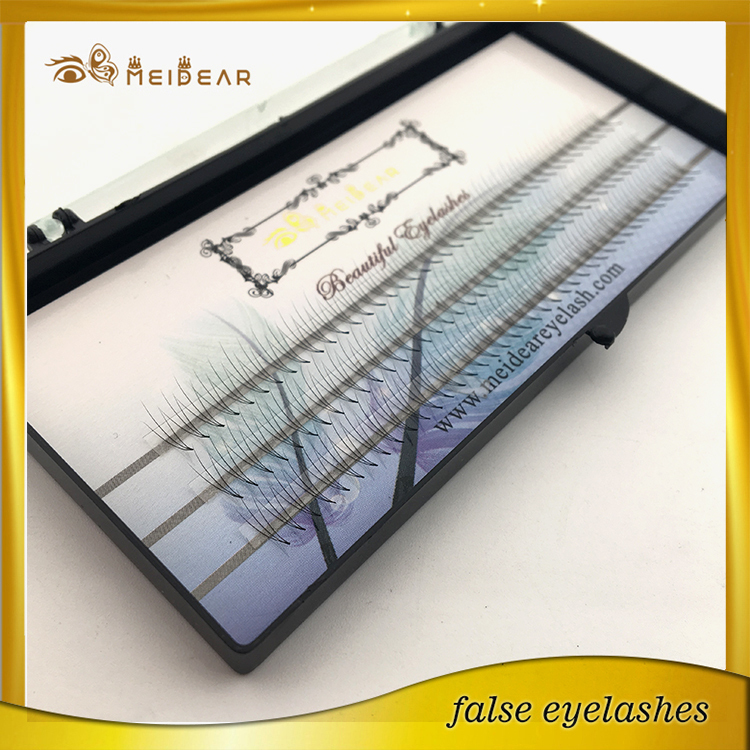 Fans could be taken out easily from the tape, minimum adhesive used for fixing, especially short base.